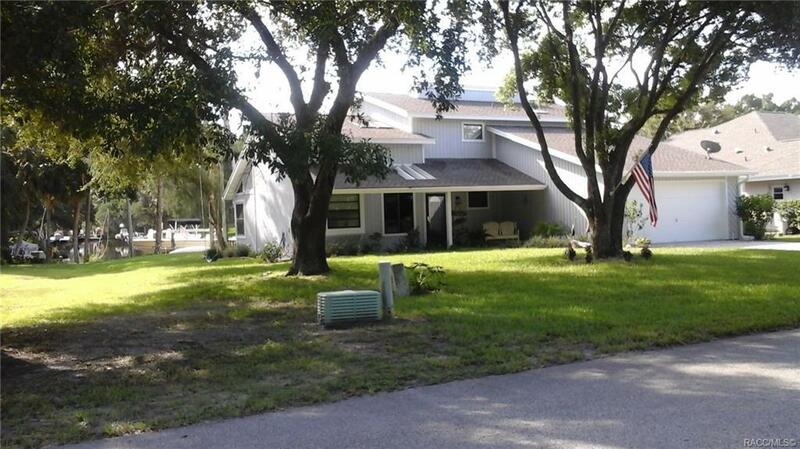 Spacious waterfront home on a deep private canal close to river with no bridges in Riverhaven! RENOVATIONS COMPLETE - MASTER SUITE DOWNSTAIRS! Freshly painted interior and exterior cedar siding, new travertine floors downstairs, new wood floors upstairs! Kitchen with stainless steel appliances, granite countertops, great room with fireplace. Formal living and dining, second master suite with bath downstairs. Upstairs - Master suite and large bedroom, 2 baths, and built-in office. Roof - 2015. Upstairs AC - 2013, new A/C for downstairs 2018. Boat dock with electricity and 10,000 pound boat lift. ! Elevation certificate. House did NOT flood during the storms! Directions: Route 19 N To Left On Halls River Rd To Right On Riverhaven Dr, To Left On Clubview, To Right On Riverside Then Left On Running Brook To First House On The Left.